It is with a heavy heart that we lament that His Eminence László Cardinal Paskai O.F.M. was called back to the Lord at the age of 88 after a long battle with cancer. 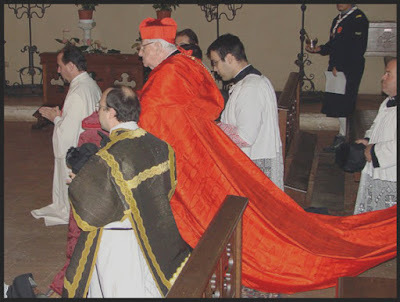 In 2005 he became the Spiritual Protector of the Military and Hospitaller Order of Saint Lazarus of Jerusalem, a role he faithfully fulfilled until he retired in 2010. We will be praying for him most particularly when we offer our annual Requiem Mass for deceased members and friends with Pontifical Requiem Mass at St Catherine's Church, Leyland, on the evening of Friday 6th November. with HRH Prince Charles-Philippe d’Orléans. with the Cardinal in 2005 in St Mark's Square, Venice.